Glass is a snob, and that’s a good thing for science. For the most part, glass doesn’t interact with other substances. Essentially inert, glass is perfect for containing the otherwise uncontainable: strong acids, bases, and solvents. Glass is, of course, also fragile. That’s why Norbert Kruse, a chemical engineer at WSU, had to take a glassblowing class when he was a chemistry student in Berlin in the early 1970s. “We had to do our own repairs!” Kruse recalls. 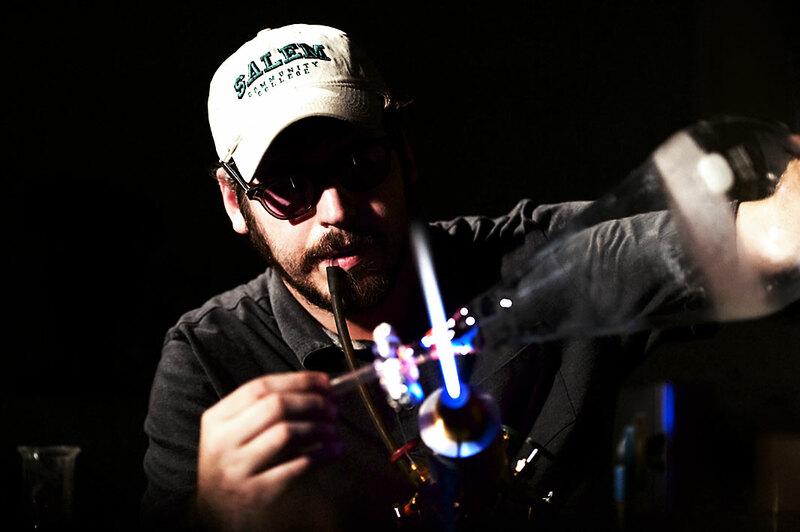 These days, researchers at WSU don’t have to know glassblowing to keep their labs running. Scientific glassblower Aaron Babino takes care of that. WSU contracts with Babino, who works at the University of Idaho. There he not only makes repairs to lab glass but builds custom specialized pieces as well. Babino came on board about a year ago, replacing 30-year-veteran Dave Gover. “Most of what I made involved creating a vacuum,” recalls Gover. Working with evacuated glass involves extremely tight tolerances, as interconnects of metal or glass must fit perfectly to enable researchers to filter, distill, sublimate, desiccate, and analyze substances without risking contamination from chemicals outside the closed experimental system. From investigating the basic chemistry of technetium—a radioactive element that the Hanford cleanup teams must contend with—to studying the ways CO2 might be recycled into fuels, glass remains essential. At a recent street fair in Spokane where Gover demonstrates glassblowing, he says that the skill involves “trying to outsmart a tube of glass.” How will it heat in the narrow span of flame? How will one color anneal to another and yet still maintain integrity? Gover explains all this as he deftly shapes a tube of glass and brings it to life as a holiday ornament. Gover’s career ranged from working with neon signs (“plumbing,” he says derisively, referring to the fact that sign making is mostly bending tubes) and artisanal work to his steady paycheck from scientific glass. Along the way, he consulted with Harvard University on their glass flowers collection. The anatomically correct glass flowers, made by the Dresden-based father and son team of Leopold and Rudolph Blaschka, were made in the Bohemian lampwork style. Actually originating in Venice over 500 years ago, lampwork involves embedding one color of glass into another, as is often seen with intricate glass beads. Harvard wanted the flower collection in order to teach students botany and plant physiology year round. 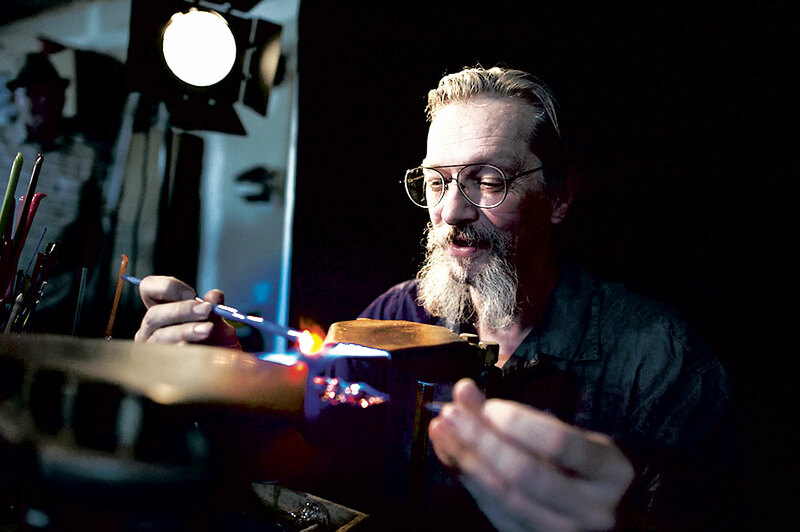 Babino and Gover both studied scientific glassblowing at Salem Community College in New Jersey—the only program of its kind. And although the profession has shrunk, glassblowers still play a crucial role in the lives of chemists, engineers, geologists, and all researchers doing benchwork. 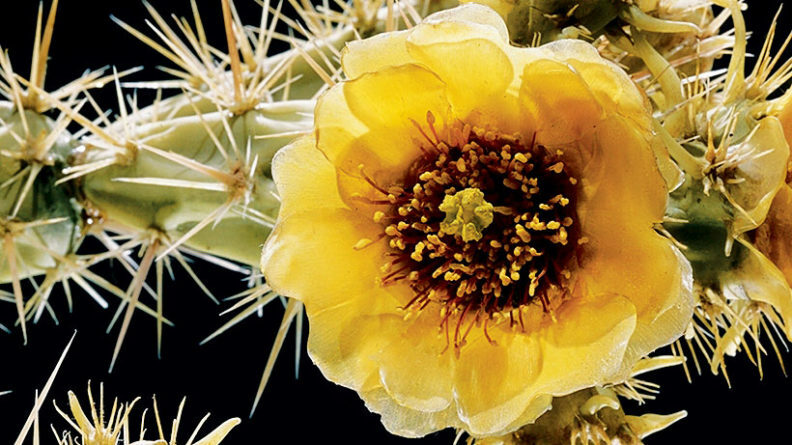 Learn more about the Harvard Glass Flower collection and the lampwork glassblowing techniques.